Last weekend was the start to the 2015 MLL season and it was nothing short of spectacular and intense. 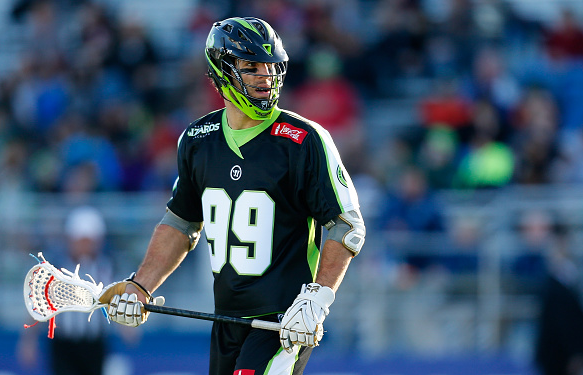 The Rochester Rattlers took down the Charlotte Hounds in overtime and the New York Lizards unplugged Ohio with a 14-8 victory. For the state of New York, the Lizards and Rattlers are representing them very well at the start of the new season. Back in the league is Matt Poskay, who came out swinging and netted four goals. Not to be out shined, Matt Gibson made a huge return with four goals of his own. Ned Crotty picked up four assists, while Jojo Marasco and Rob Pannell tacked on three points each. Paul Rabil and John Austin scored two points each as well, with Austin firing from down town for a two point goal. Steve DeNapoli and Tommy Palasek recorded an assist each. Needless to say, this Lizards offense has an offensive power that is hard to stop. Not to mention, Greg Gurenlian at the face-off X.
Defensively, Drew Adams made thirteen saves and only let up eight goals. In front of him is one of the strongest defenses the Lizards have had in a while with Joe Fletcher, Brian Spallina and Chris Piccirilli at close, LSM’s Steve Holmes and Kyle Hartzell and the Unterstine brothers at d-mid. With team USA members on the defensive end, offenses will have a very tough time burying the ball in back of the net. Even with a highly skilled and tough defense, they are going up against some of the best young talent when they play Rochester. Their attack consists of the speedy Jordan Wolf, along with the incredible stick skills of Ty Thompson and the return of Jeremy Boltus. This attack unit put up seven of the Rattlers goals scored against a quick and pressuring Hounds defense in their meeting last weekend. At the midfield, Dave Lawson is killing it again, starting the season off with four points (2G, 2A), with john Ranagan putting one away himself. They will need Justin Turri, Rob Guida and the other midfielders to step up against the physical Lizards defense. In between the pipes is the second best goalie in the league, John Galloway, who sits behind that of the Lizards’s Drew Adams.This game will come down to the goalies and who can obviously make the most saves. Both will be put to the test as they go up against some of the best offensive weapons in the MLL. With six foot poles in their hands, John Lade, Will Koshansky, Donny Moss, Brandon Palladino, Matt Miller and John LoCascio have a busy afternoon ahead of them. From years past, the LSM’s have been dangerous in transition for Coach Soudan and will conjure up problems for the Lizards transition game. As for when they’re on the defensive side of the ball, they will have to go up against a loaded offense that can attack from anywhere on the field. Face-offs seemed problematic for the black and gold as James Carroll went just 7-23 at the X. Luckily, they have Adam Rand who should hopefully get the start going up against The Beast. It’s the ‘Battle of New York’ and a battle it shall be. Two Team USA goalies between the pipes, the smartest defender going up against the quickest (Wolf v Fletcher) and a whole lot of offense. Excitement is an understatement for this game and fans are going to enjoy every second of this match up. The Lizards visit Rochester to take on their in-state foe and will do so at 1 p.m.. Viewers can catch the action on ESPN3.